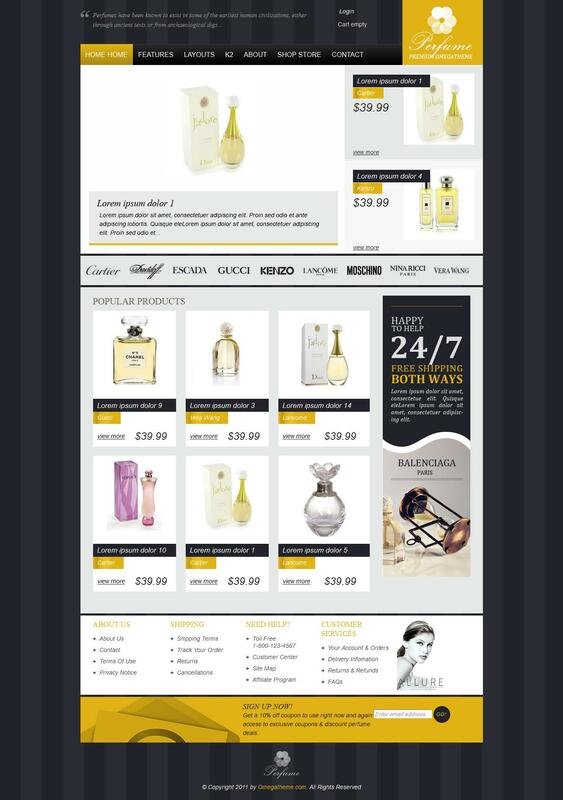 OT Perfume - new template online store based on the popular component Virtuemart 2.0, Developed by OmegaTheme. Neat and elegant design pattern in conjunction with the use of functional platform Solid Framework, provide a high-quality site that meets all modern requirements. Appearance of the sample contains three color schemes, has branded rotator products and flexible modular design. Support for mobile devices and the availability of optimized code for search engines, are essential attributes of each pattern this studio.